It is an elegant as well as entertaining solution to the problems of the location. Architects and artist have done an excellent job. This small project is a collaboration with the artist Alberto Duman. 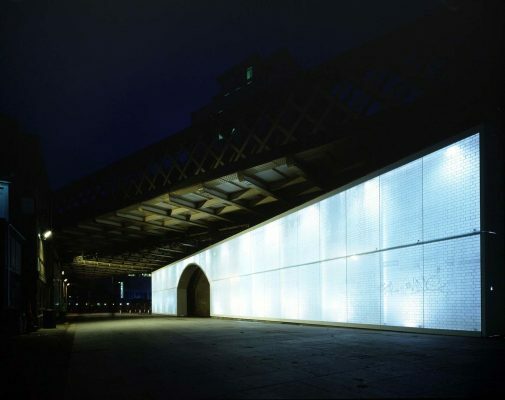 It transforms Sutton Walk, the main pedestrian route between Waterloo Station and the South Bank arts complex. 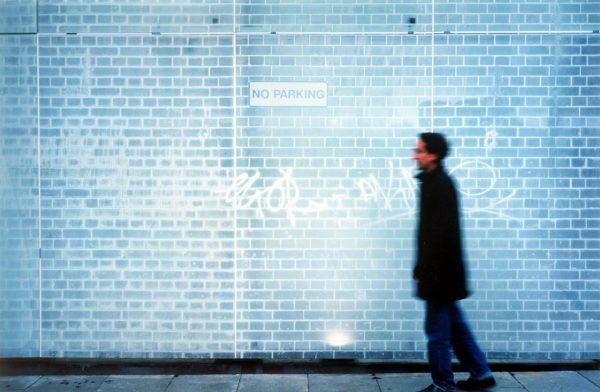 Our response to the brief to produce a gateway to the South Bank, was to install a glass image wall under the railway viaduct, opposite a free-standing mirror monolith.The image wall is based on a photograph of how the wall running under the viaduct looked before the project started. 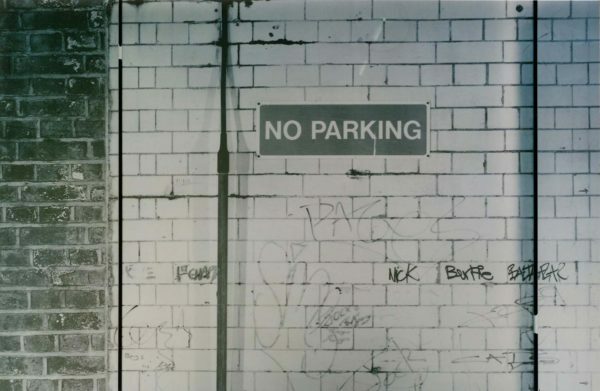 This photograph, which showed the old light fittings, graffiti and street signs, was printed in white ceramic ink. 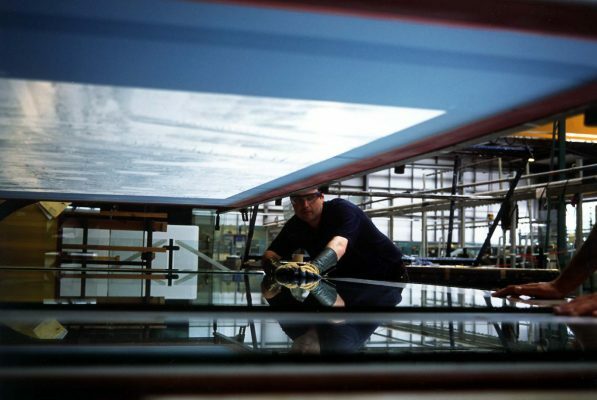 It uses a silk screen process on to glass panels, which were baked to create a tough vandal-proof surface and attached to the existing wall. 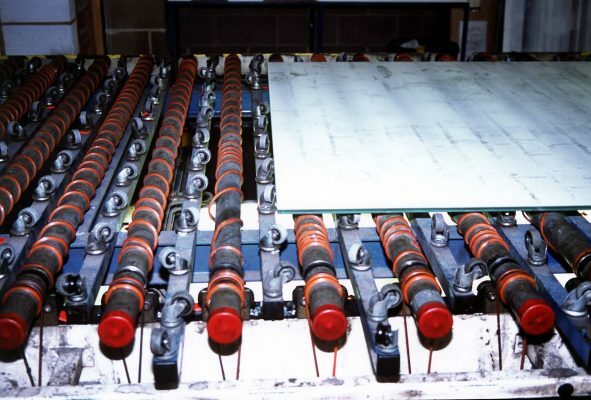 A stainless steel supporting frame was set back from the glass to eliminate shadows. This seamless glass wall preserves the memory of the wall’s earlier appearance, in an unsettling contrast between the flatness of its surface and the texture of its image. 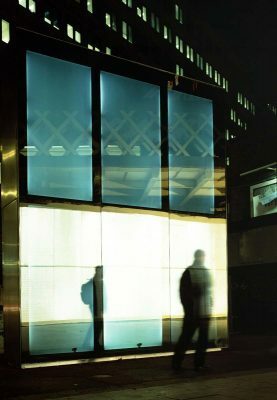 The monolith, which is the same height as the image wall, has a surface of mirror glass that interacts with passers by. A solar control reflective film applied to the back face of the monolith gives a perfect reflection until the light level behind is increased. Sensors and sources create an invisible ‘map’ of beams on the pavement between wall and monolith. 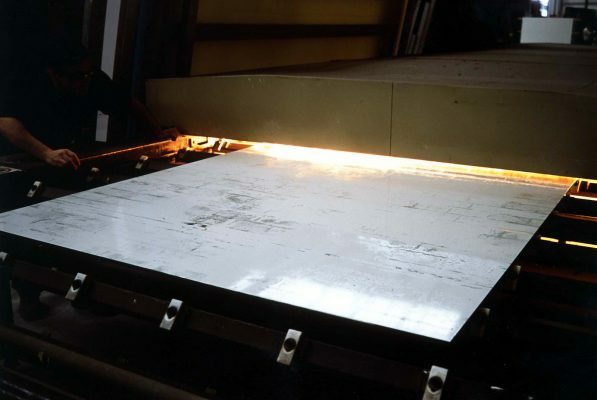 When a beam is broken, a monolith panel corresponding to the position on the pavement immediately lights up, and then fades in a two second cycle.